Rev on the Road is a two day outreach and wellness event designed to restore people’s hope, faith and love as image bearers of a good and whole God. 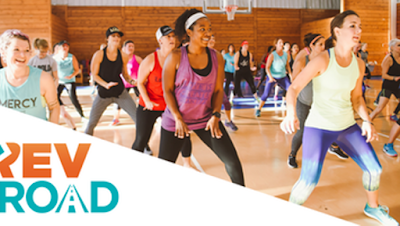 True to the culture of Revelation Wellness® participants will experience contagious joy and freedom as we share the Good News of the Gospel message through cutting edge fitness that meets people where they are at. This event is for every body shape and size but nobody leaves the same. It will be held at Hartland Bible Church in Gasport on October 19th and 20th. Let us know you're coming and we will make sure you are the first to know when registration opens to save your spot!